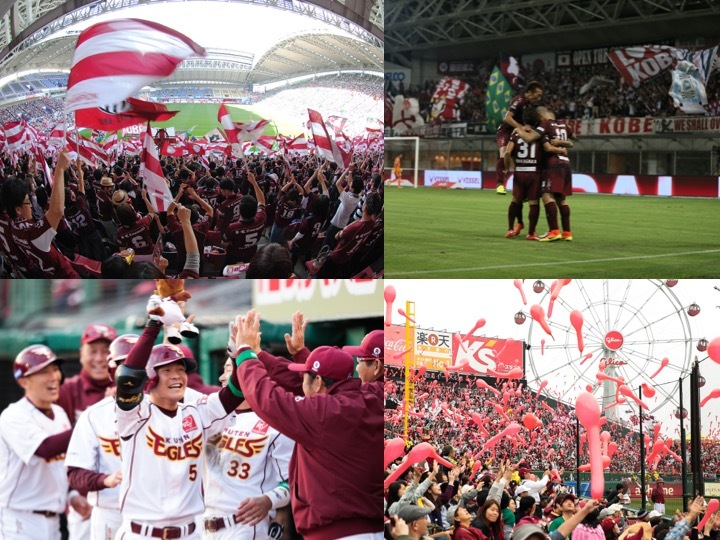 For Vissel Kobe fans, this was the game they had long been waiting for. 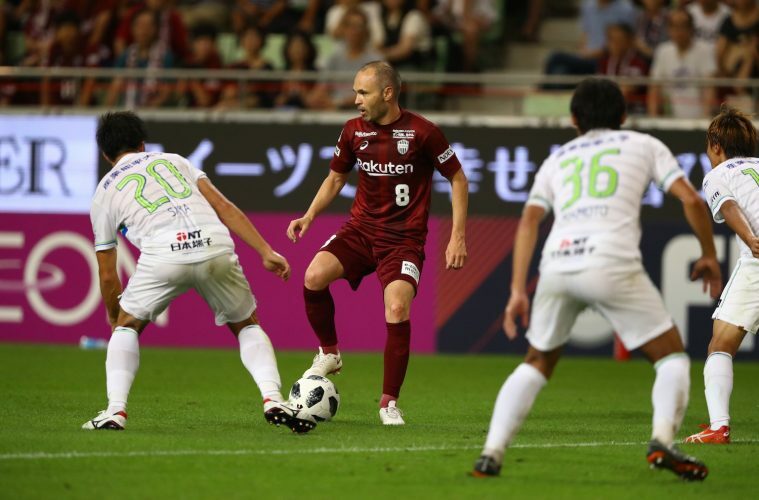 On July 22, on a hot and humid night at Noevir Stadium in Kobe, more than 26,000 fans watched Andres Iniesta make his J-League debut. 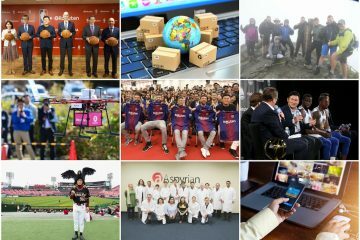 The 2010 World Cup winner came on in the fifty-ninth minute, with his club down by two, to a rousing reception as fans rose to their feet and unfurled Spanish flags, cheering on the former Spain national team and FC Barcelona legend. 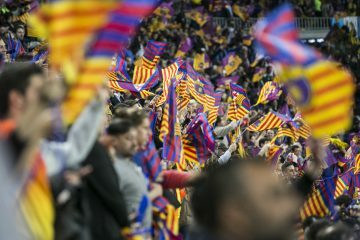 For the next few minutes, every time Iniesta took possession of the ball the stadium erupted in celebration and anticipation. 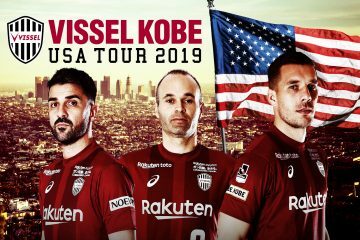 Almost immediately Iniesta began orchestrating Kobe’s offense through a series of his trademark inch-perfect passes and deft flicks–bringing some much-needed shape and direction to Kobe’s attack. 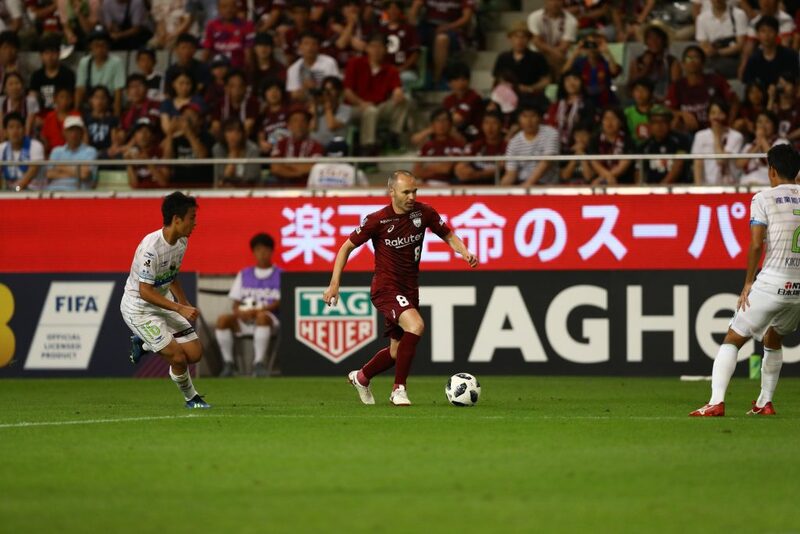 In the final minute of normal time, Iniesta had a chance to get one back for the home side but was ultimately unable to steer his volley into the Shonan goal. 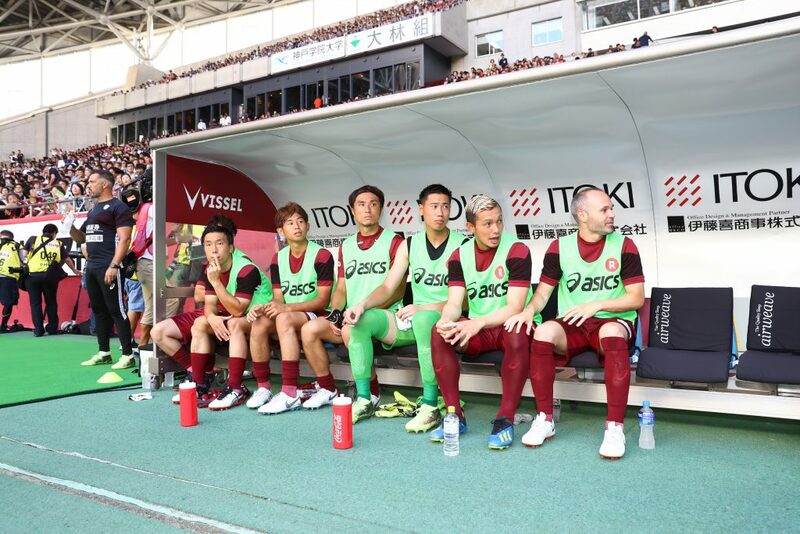 While the result didn’t go Vissel Kobe’s way in the end – the team was felled, three goals to nil, by an efficient Shonan Bellmare side – for Vissel and their fans, the night marked the start of a new chapter, as one of the greats of the modern game made his J.League debut. 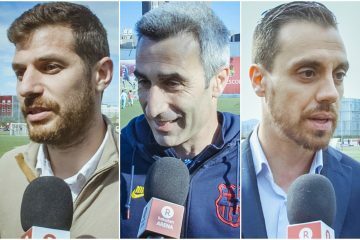 Commenting after the match, Iniesta stressed that the team has a lot of work to do. 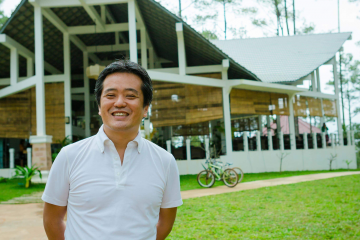 However, he said he appreciated all the support and encouragement he’s received from players and fans. “I still can’t believe that I’m going to be able to see him play with my own eyes,” Sakuma added. 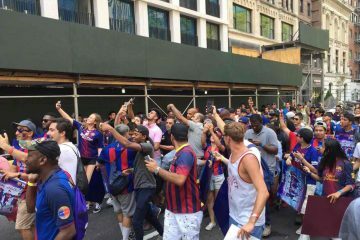 “It’s only been three days since Iniesta joined the team in practice and I bet he’s still trying to figure out his new team and the club environment. 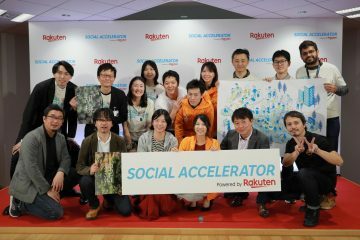 But I want him to try his best,” said Hideki Matsuda, a season ticket holder. 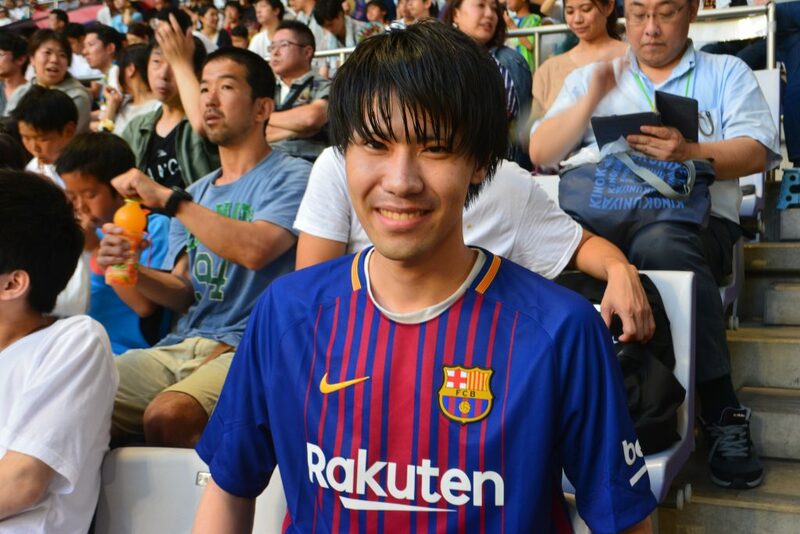 Speaking after the game, Vissel diehard fan Sho Maekawa explained that though he was disappointed with the result, he took heart in Iniesta’s debut. 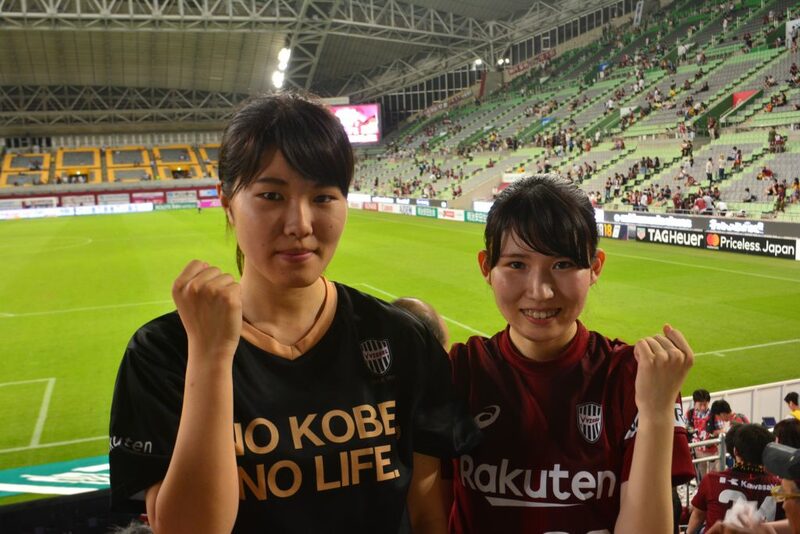 Kobe fans Muku Ida and Rina Tokuyama thought that the grueling conditions might have hindered the club. “I think the humidity overwhelmed the players,” Ida said. 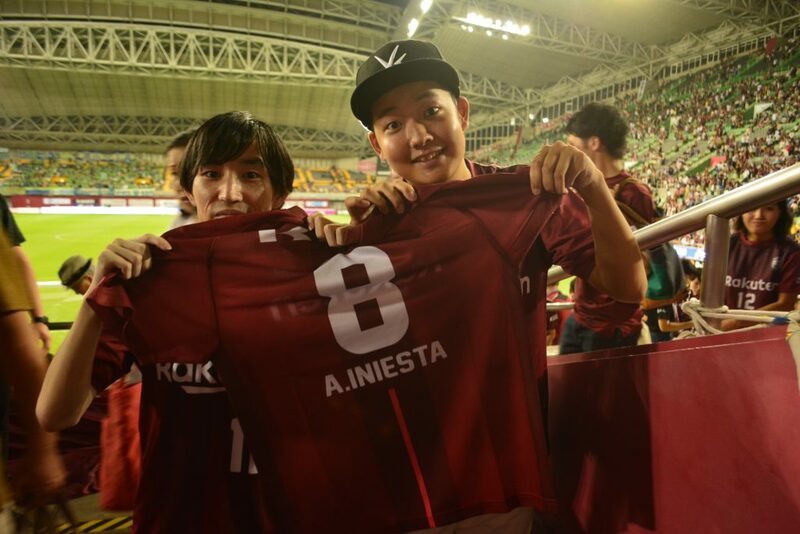 But it was Iniesta’s debut as a Vissel Kobe player that will long remain the hallmark of the game, said Ida. 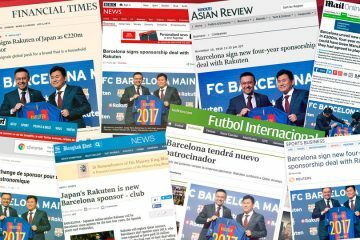 “It was so exciting when Iniesta made his entrance. 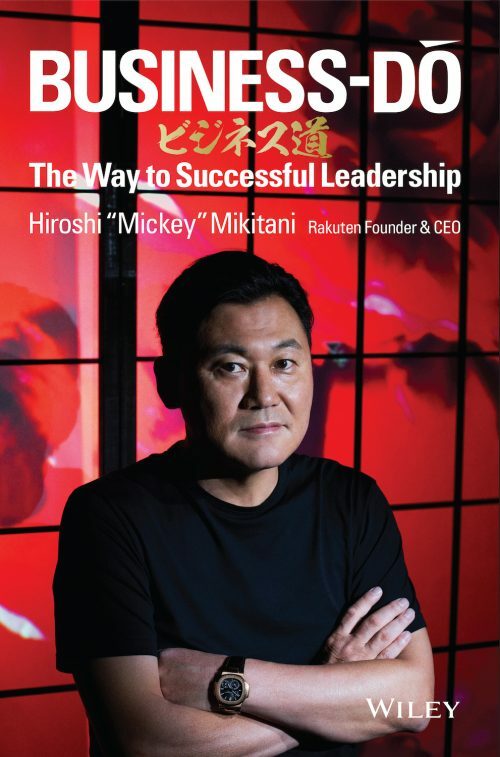 He had some great passes, but unfortunately our forwards weren’t able to connect,” Tokuyama added. 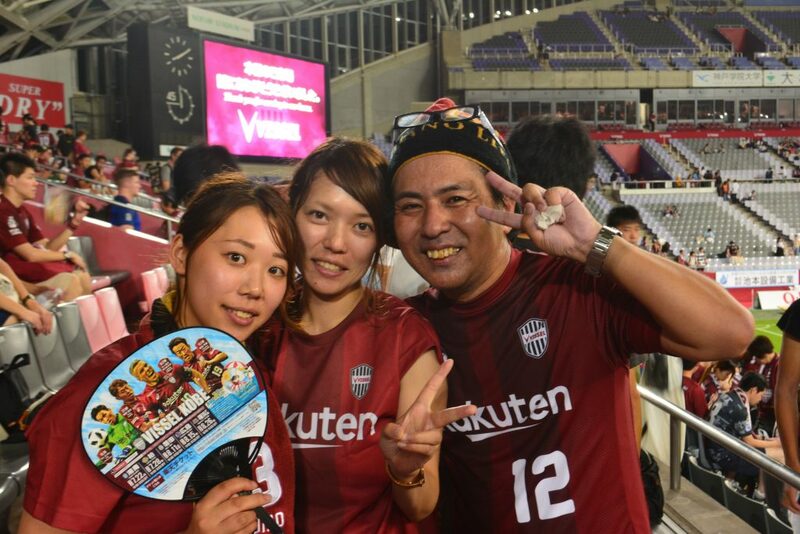 Takahiro Yamamoto, a veteran fan, added that it’s a great time to be a Vissel Kobe fan, especially as so many new and younger fans are coming to the support the team. 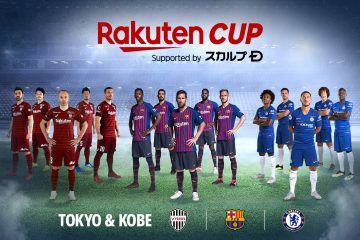 For Iniesta and his new teammates, it’s now back to the training ground as they prepare for their next challenge: a home game against Kashiwa Reysol. 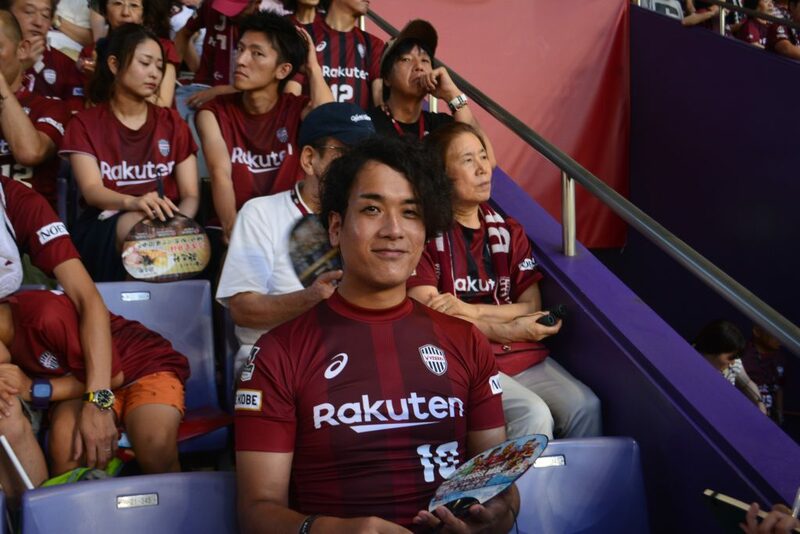 While Vissel Kobe hope to change the tides for Iniesta’s second match, their supporters will undoubtedly be bringing the same extraordinary energy to the stadium—showing that they are every bit as world-class from the bleachers as Iniesta is on the pitch.